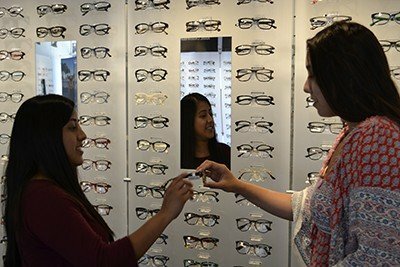 For friendly, expert eye care in Northbrook, look no farther than Rosin Eyecare. We’ve been serving Chicago and its suburbs since 1930, providing the expert care you expect and the friendly service you deserve. Since 1997, our Northbrook office at 1917 Cherry Lane has been providing the high level of care and the personable service that Rosin Eyecare is known for. Our comprehensive eye care services include everything from annual exams and contact lens fittings to LASIK consultations and eye surgery, so no matter your needs, you can depend on us. Call us today at (847) 564-2020 to schedule an appointment. I had just moved back to Chicago and was in need of a ophthalmologist. I heard great things about Rosin so I setup an appointment with Dr. Vinca. Dr. Vinca was GREAT, very helpful and very reassuring with my concerns. She also made me feel very comfortable and that I was in good hands. From the time that I walked in there, their was great service. All around GREAT staff. Jessica from the front desk was very helpful. She had a beautiful personality and a great smile! She followed up with me in many occasions, since I did have a lot of questions. Their frame selection was also very great. Overall I highly recommend this place!! Dr. Rosin (ophthalmologist) is FANTASTIC! He is VERY patient and has a GREAT bedside manner. He explained everything to my 85 year-old grandmother in terms she could understand and answered ALL of our questions. He welcomed our questions and we did not feel rushed.Dr. Vinca (ophthalmologist) is GREAT too and is a glaucoma expert! Dr. Dygola (optometrist) is VERY thorough and was able to provide me with an accurate contact prescription, which can be difficult since I have such a severe astigmatism. After his examination, I found out my vision was actually over corrected. I came in with -4.50 contacts and my prescription is actually -3.50 AND I can see much better now! The ladies at the front desk are friendly and professional. I would definitely recommend this location for any and all of your eye care needs: glasses, contacts, optician, optometrist AND ophthalmologist. 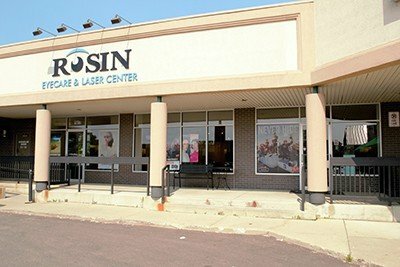 I recently took my new prescription into rosin eye care. I asked the person if I could get this prescription made in the next week to 10 days. They indicated it was possible. 2 days later they called and said the glasses and both sets of sun glass clips were ready for pick up. They were courteous and very helpful in adjusting the glasses upon my arrival. They are knowledgeable, friendly and very professional. Definitely, I would recommend them to anyone needing eye care assistant. Dr. Lydia Liu went above and beyond to help me tonight, when no one else would. I work very long, very unpredictable hours so when my vision spontaneously went blurry today, I called 4 other places at 7PM to see if there was a D.O. who could/ would see me nearby. All other places were open but not accepting any more patients for the night, despite my “emergency” and pleading. Dr. Liu was already seeing her last patient when she agreed to see me. They stayed open at least 45 minutes past their closing time to accommodate me. She showed that she cared for my well-being even before I walked into the office. I was able to drive home with clear vision and plenty of samples to last until I could come back. Without her going out of her way tonight, I really don’t know how I would have driven home or gone to work tomorrow. Her offices are not necessarily the closest or most convenient locations for me but I will drive out of my way to see a caring, competent, and understanding doctor. I’m so grateful! I had a medical eye problem in October. I randomly went to this location because I couldn’t get into my old eye doctor and i was so pleasantly surprised. Dr. Dygola was so nice and so helpful. I had never had an eye problem and after the medicine and some time in my glasses we found a great fitting pair of contacts that didn’t give me the same issue. I did have to go 4 times in 3 weeks and i never had to wait so it seems they have their scheduling issues fixed that others complained about. I just went back this week for a check up and again, a great experience. I look forward to picking out my glasses from this office and I even have an appointment for a lasik consultation! What else does one do with left over FSA monies – buy new glasses of course! I live far from Rosin’s but I was in the area and has some time on my hands so I decided to get this “to do” item out of the way. Shawn Dygola, conducted my eye exam. He was friendly and informative. Since I had gotten there early, I done my shopping for new frames by the time my appointment time came. I had narrowed my choices down to three different frames and the staff helped me make my final selection (which, btw, I’m very happy with). Oh, and I have to say, it wasn’t easy narrowing it down to three different frames. They had such a fast selection. 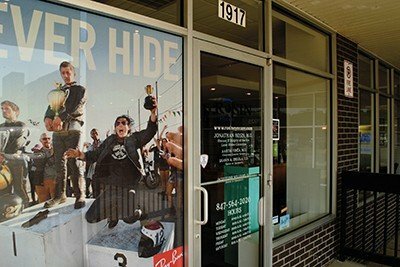 I have to admit that I went in with the bias that since it was a fancy eye place they would only have high-end frames. Not the case (at least I thought so). Overall, I’m really glad I ended up at Rosin’s and would happily go back again even though it’s not in my immediate neighborhood.